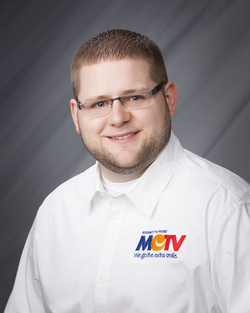 Give Anthony a call today to learn how your business can benefit from MCTV's Internet, TV and Phone business offerings. Save money and time by bundling your services with MCTV! When he's not saving your company money, Anthony can be found coaching youth sports at the Boys & Girls Club.